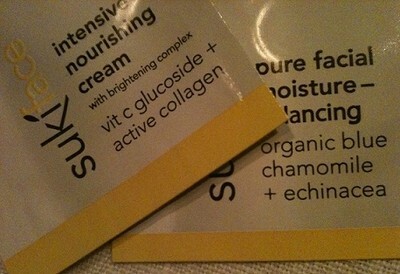 "All suki products are 100% natural & free of any synthetic ingredients, parabens, lake, fd & c or coal tar colors, preservatives, genetically modified organisms, & nano-particles. we source fair trade, organic, biodynamic & local whenever possible, always considering fuel emissions & travel distances. All of our ingredients are cruelty-free.we never test on animals & ensure that every one of our suppliers also adheres to our core philosophy of do no harm.many of our products are vegan.the only animal product we use is 100% natural beeswax, which is bought from farms that do not harm bees or burn hives."